TelexFree affiliates have shared a photo of President James M. Merrill posing in front of an office building in Massachusetts. The photo, however, is not proof of TelexFree’s legitimacy and raises questions about whether the company was trying to plant the seed it had a massive physical presence in the United States. UPDATED 10:22 P.M. EDT (U.S.A.) The purported TelexFree “opportunity” is under investigation by multiple agencies in Brazil, its purported base of operations despite competing claims the company is headquartered in the United States. The notes below concern TelexFree’s U.S. presence and positioning. They are presented in no particular order of importance. TelexFree says it is in the communications business. TelexFree has a footprint in Massachusetts at 225 Cedar Hill Street, Suite 200, Marlborough. It is a shared office facility. Ads for the building suggest a conference room with video capabilities can be rented by the hour. One suggested use of the room is for attorneys to rent it to conduct depositions. Some attorneys practicing in the state and federal courts use the building as a business address. Other lessees include the Massachusetts Library System (MLS), which describes itself as “state-supported collaborative” to foster “cooperation, communication, innovation, and sharing among member libraries of all types.” MLS uses Suite 229, according to its website. Research suggests a company with which AVG has a close association is headquartered in a modern office building in the United States. The building was constructed in 2003. Office functions and conferencing can be rented by the hour. Two large airports are nearby, and a major Interstate highway is situated one mile from the building. It is a virtual certainty that AVG, which purported to operate from Uruguay, actually was operating from the U.S. states of Florida and Arizona and using a series of business entities to launder the proceeds of its fraud scheme. AVG disappeared mysteriously in June 2009. On Dec. 14, 2011, the PP Blog reported that Text Cash Network (TCN) — another purported MLM “opportunity” — was using a virtual office in Boca Raton, Fla., in a bid to create the illusion of scale. TCN promoters published photos of a glistening building with TCN’s name affixed near the crown of the building. The Boca Raton Police Department, however, said the firm’s name did not appear on the building. Although the PP Blog is unaware of any bids to Photoshop TelexFree’s name on a large office building, affiliates have shared photos of TelexFree President James M. Merrill posing in front of the large Massachusetts building. So there can be no confusion, TelexFree does not own the building. TelexFree affiliates/prospects should not rely on the photo of the building as proof of the legitimacy of the company. The photo itself raises questions about whether Merrill and TelexFree were trying to create the illusion of scale. Even though the answer could be no, the negative inferences that can be drawn from the photo contribute to MLM’s reputation for serial disingenuousness. TelexFree also has a presence in the state of Nevada. Records show that an entity known as TelexFree LLC is listed as “Domestic Limited-Liability Company” situated in Las Vegas. Listed managers include Carlos N. Wanzeler, Carlos Costa and James M. Merrill. TelexFree operates in Massachusetts with an “Inc.” version of the name — i.e., TelexFree Inc., having undergone a name change in February 2012 from Common Cents Communications Inc. In Massachusetts, James Merrill is listed as the registered agent, president, secretary and director of the firm, with Carlos Wanzeler listed as treasuer and director. Unlike the Nevada “LLC” version of TelexFree, Carlos Costa appears not to hold a title in the Massachusetts “Inc.” entity. The footprints in the United States are important in the sense that they establish a business presence in the country should TelexFree become the subject of U.S. investigations akin to what is happening now in Brazil, where pyramid-scheme and securities concerns have been raised. Along those lines, records of the Financial Industry Regulatory Authority (FINRA) appear not to list TelexFree — despite the fact affiliates in the United States have claimed members acquire “stock” from TelexFree that can be sold through TelexFree and that affiliates purchase “contracts” from TelexFree. One YouTube video viewed by the PP Blog shows a TelexFree affiliate purportedly cashing out his stock through his TelexFree back office. The affiliate appears to be speaking in U.S. English, citing the date as March 19, 2013. In the video, the affiliate describes his pitch as a “quick withdrawal video” — i.e., proof that TelexFree is legitimate because it pays. “OK,” the narrator intones. “I’m going to sell all my stock.” The video shows a tab labeled “Stock” and a subtab styled “Repurchase” in the back office. The narrator then clicks on a series of graphics styled “REPURCHASE” and tells the audience that he wants to show it all the “stock that I have that converts to actual money.” He then proceeds to a “Withdraw” subtab under a “Statement” tab. These actions eventually expose a screen that shows an “AVAILABLE BALANCE” of $927.61 for withdrawal. For a brief moment, the acronym “BT&T” flashes on the screen, suggesting the TelexFree affiliate is seeking to have his earnings from stock sales relayed through North Carolina-based Branch Banking & Trust. The interesting thing about that is that the alleged $600 million Zeek Rewards Ponzi- and pyramid scheme claimed it had a banking relationship with BB&T. In May 2012 — on Memorial Day — Zeek mysteriously announced it was ending its relationship with BB&T. It was unclear from the TelexFree affiliate’s video whether he was a BB&T customer or whether TelexFree was. What is clear is that the SEC moved against Zeek in August 2012, accusing the company of securities fraud and selling unregistered securities as investment contracts. The U.S. Secret Service said it also was investigating Zeek. In this TelexFree promo running on YouTube, the acronym BB&T flashes on the screen in a TelexFree affiliate’s back office. Among the problems with HYIP schemes is that banks can become conduits through which illicit proceeds are routed or stockpiled. Zeek used at least 15 domestic and foreign financial institutions to pull off its fraud, according to court filings. Because HYIPs offer commissions to members who recruit other members along with “investment returns,” legitimate financial institutions can come into possession of money tainted by fraud. Like Zeek (and AdViewGlobal and AdSurfDaily), TelexFree has a presence on well-known forums listed in U.S. court records as places from which Ponzi schemes are promoted. TelexFree shares some of the characteristics of fraud schemes such as Zeek, AdViewGlobal, AdSurfDaily, Profitable Sunrise and others. ASD, AVG and Zeek, for instance, had a purported “advertising” element. So does TelexFree. TelexFree affiliates claim they get paid for posting ads online for the purported “opportunity.” Zeek affiliates made the same claim. It is highly likely that Zeek and TelexFree have promoters in common, a situation that potentially is problematic, given that some affiliates may have used money from Zeek to join TelexFree — and the court-appointed receiver in the Zeek case is pursuing clawbacks against “winners.” In short, some of the winnings could have been spent in TelexFree. An online promo for Zeek in July 2012 claimed North Carolina-based Zeek had 100,000 affiliates in Brazil alone. TelexFree affiliates are claiming that their “opportunity” now has hundreds of thousands of affiliates, which suggests TelexFree has achieved Zeek-like scale. Whether it enjoys Zeek-like, money-pulling power on the order of $600 million is unclear. What is clear is that TelexFree, like Zeek before it, is spreading in part through the posting of promos on classified-ad or similar sites across the United States. Profitable Sunrise, another HYIP, spread in similar fashion. Dozens of U.S. states issued Investor Alerts or cease-and-desist orders against Profitable Sunrise, which the SEC accused of fraud in April 2013. To gain an early sense of the scale TelexFree may be achieving in the United States, the PP Blog typed into Google the term “TelexFree” and the names of several U.S. states known to have taken actions against Profitable Sunrise. This revealed URLs such as “TelexFreeOhio” and “telexfreetexas.blogspot.com,” for two examples. It also showcased classified-ad (or similar) sites on which TelexFree promos are running or have run. Finally, the state of Massachussets was the venue from which the prosecutions of the infamous World Marketing Direct Selling (WMDS) and OneUniverseOnline (1UOL) pyramid-schemes were brought in federal court. Those fraud schemes were targeted at Cambodian-Americans. The state does not take kindly to affinity fraud. In March, Massachusetts securities regulators charged a man in an alleged fraud bid against the Kenyan community. Among the claims of the MLM hucksters pitching WMDS and 1UOL was that members could purchase an income. Some TelexFree affiliates are making similar claims. The WMDS and 1UOL frauds became infamous as the source of death threats, including one against a federal prosecutor. Media outlets in Brazil have reported that death threats have surfaced over the TelexFree scheme. For the reasons cited above and more, it would be surprising if things end well in the United States for TelexFree, which has Zeek and ASD-like signatures of MLM disasters waiting to happen. Doesn’t the name Gerald Nehra usually spell the death knell for a program? I guess once his name appears it’s usually one to avoid. 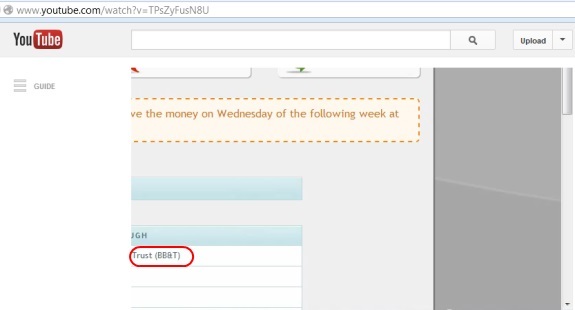 Quick note: In viewing a second video by the TelexFree affiliate referenced above, it looks as though the affiliate is a BB&T customer and that TelexFree transferred the money from his “stock” sales via ACH into his account at BB&T. It also looks as though TelexFree has the ability to debit U.S. bank accounts, perhaps for the monthly fee. A debit for $49.90 appears in the affiliate’s back office. Other info suggests the debit was made from Massachusetts. Can’t say for certain, though. So, we know that TelexFree has a presence (at least) in Brazil and the United States. We know it is using a Zeek-like business model and appears to have both debiting and crediting access to the U.S. banking infrastructure. And we also know that TelexFree appears to be using the former corporate shell of Common Cents Communications Inc., which has led to Zeek-like claims that TelexFree is a much older company than it really is. Affiliates appear to have told prospects that TelexFree has been around for 10 years or so, despite the fact it appears to have been formed in Massachusetts out of the Common Cents Communications shell in February 2012. Also: There is a .com of TelexFreeAlabama. Readers will recall that Alabama was one of the first U.S. states to take action against Profitable Sunrise. It’s pretty clear that Alabama is one of the worst U.S. states in which one can push a murky “program” that raises issues about the sale of unregistered securities. Alabama put Andy Bowdoin out of business in his pre-ASD days. But the Feds say Bowdoin apparently didn’t learn from the experience and later launched ASD. It would be interesting to know how many ASDers/Zeekers are in TelexFree. I was seriously thinking of joining Telexfree a while back while it was still mainly Brazil based. But I decided to wait this time, particularly as I did not understand too much about it as the hype started to grow. Yes there are many ex ASD and Zeek members in this, as it has been passed on by some, but not all, big list owners. Patrick you are right about the company previously was known as Common Cents Communications. TelexFree is the same set-up but the difference is the MLM component. I originally thought that the owner was Brazilian but he is in fact American. Born in 1961, Son of traditional American couple, James Merrill graduated in the class of 1985 in economics at Westfield State University. He was Treasurer for Common Cents, with Carlos Costa as president. If my research is right, the roles have reversed and Carlos Costa acts as treasurer and Merrill is the President of TelexFree. There is a claim that it is really an American company, but with Brazil as its main original market. Brazilians are taking to the street and demonstrating lin large numbers. So it will be interesting to see how this pans out. Maybe it’s just me, but I’ve not heard much of James Merrill lately while the drama unfolds. And I’ve seen claims that Carlos Costa is president. Maybe someone here knows what’s happening. Quick note: “Jah,” whom readers may remember from the Narc That Car/Crowd Sourcing International days, appears to be a bit concerned about TelexFree. Quick note: After the Brazilian state of Acre took the action against TelexFree last month, the early line from some of the promoters appeared to be there was nothing to fear because Acre was a “small” state. That struck me at the time as reminiscent of the early line after North Carolina moved against Profitable Sunrise a few months ago. Over the period of a week or two, that narrative lost its luster as one U.S. state after another lined up against Profitable Sunrise. Then the SEC — meaning the U.S. government — moved against Profitable Sunrise. I am not familiar enough with Brazilian law, the Portuguese language or Brazilian culture in general to venture a guess on how things may go in Brazil with respect to TelexFree. But early storylines advanced by U.S. based-affiliates to explain away events in Brazil have begun and seem to consist of a cross between wishful thinking and the complete suspension of reality. As a matter of common sense, it would seem inconceivable that events in Brazil will not have an effect on the U.S. presence of TelexFree. My understanding, based on various comments I’ve seen is this: that Brazilians assumed that because it was somehow American based then it must be OK. This is because of an idealistic view many have of how things are in USA. In other words, if they allow it to do business there, then it is definitely OK for us. In close trusted family/friend cultures such as Latin America, word can spread fast. One of the arguments Telexfree affiliates in Brazil are using most is “if authorities in the US(the richest country on earth and that has the largest MLM tradition in the world) never did anything against Telexfree, who are the Brazilian authorithies to mess with the company”. Please stop back and share your thoughts as this story evolves, Brazilian. Pleased to hear your take on events. I’m not a promoter, and I don’t agree with the argument I posted. I just posted it to let you know what Telexfree promoters are saying. It’s kind of hilarious the amount of videos they are posting in Youtube, saying that they’re “100% Telexfree”, saying that the injuction against the company is because the government is corrupt and doesn’t want poor people to make money, and even that the prosecutors and judges are envy because Telexfree promoters are making more money they than do. A ponzi will collapse whether the government is corrupt or not. However, one thing is sure, that many people there are making more money than they have ever done in their lives. And it might be that a large portion of these have little real world business experience. And this is adding to the bubble – which unfortunately looks like it is bursting. Brazilian: One of the arguments Telexfree affiliates in Brazil are using most is “if authorities in the US(the richest country on earth and that has the largest MLM tradition in the world) never did anything against Telexfree, who are the Brazilian authorithies to mess with the company”. This sounds like a twist on a version of one of the Zeek arguments prior to the U.S. SEC action last year — i.e., if anything untoward was occurring, the government already would have taken action. Some Zeekers even tried to argue that the perceived lack of action by the U.S. government was an implicit endorsement of Zeek. Some members of AdSurfDaily made largely the same argument prior to the August 2008 raid by the U.S. Secret Service. After the Zeek and ASD actions, the narrative quickly shifted to the evilGUBment argument — something that seems to be going on now in Brazil. I sincerely hope the Brazilian supporters of TelexFree aren’t trying to imply that a lack of action (real or perceived) on the part of the U.S. government somehow means TelexFree has a clean bill of health in the United States. * If XYZ Bank is processing payments, it means the “opportunity” couldn’t possibly be a scam. * If Law Firm XYZ is involved, it means the “opportunity” couldn’t possibly be a scam. * If the “opportunity” is “paying,” it couldn’t possibly be a scam. * If the government hasn’t shut it down, it couldn’t possibly be a scam. * People who raise questions about the “program” are lazy, jealous, can’t stand success, don’t understand the “program,” etc. Then, when a “program” gets busted, the EvilGUBment chants begin. Agencies, judges, receivers/trustees quickly get demonized. Hmmm… The address is Regus rent-a-office. Suite 200 is the “no office” default address you get. So basically TelexFree US is nothing more than a mailbox. MA corp search shows that before 2012 the company’s called Common Cents Communications. In 2012 it was renamed TelexFree Inc.
What’s interesting is the paper says Merrill is the Treasurer, and Wanzeler is the president. AND there’s a TelexFree LLC, a Nevada Corporation as well. Same officers, ALSO registered in MA as foreign corp… and Carlos Costas is a registered agent for this company. But that registers to the address of Las Vegas Post Office. K. Chang: So basically TelexFree US is nothing more than a mailbox. An etremely small American VOIP bought by Brazilians just to say here in Brazil that it’s a big multinational. Unfortunately this is no doubt what is happening. Far from giving an honest picture, the use of technology has probably made it worse, raising their illusions even higher. I have spent quite a bit of time in Panama/Colombia/Venezuela mixing with people from various classes. What I have found is this: that unless they have spent a reasonable amount of time in USA or UK, they still see such places through rose colored glasses. I often have to sit down and explain 1 to 1 that not everyone there is rich and there are serious economic problems there too. Even after a serious explanation, I'm never sure if they are convinced. You don't usually see people in USA or UK demonstrating in the street over something like this. And don't even mention 'clawbacks' in Brazil. This might be a 'first' there for something like this, I don't know. If anyone knows of anything like this before it would be interesting to see how it panned out then. Yes, he became bottomfeeder. I doubt any company with a legitimate business would hire him now. Boris: Yes, he became bottomfeeder. I doubt any company with a legitimate business would hire him now. Gerald Nehra claims as far back as February that he was not in any way associated with TelexFree in Brazil, only USA. However the business setup in USA is the same as Brazil. John: This might be a ‘first’ there for something like this, I don’t know. DPRE and Grupo DMG pyramid schemes in Colombia sucked in MILLIONS of people. People demonstrated in the streets and conducted hunger strikes when the Colombia government declared a financial emergency and ordered full raid in all provinces against 200 offices of the various schemes, and called for Panama to arrest David Murcia at his mansion there. And he was indeed arrested (presumably with a bit of US urging, as he was later extradited to the US to face trial) The head of DPRE simply disappeared. The crisis eventually blew over, but a LOT of people were ruined. Brazilian: An etremely small American VOIP bought by Brazilians just to say here in Brazil that it’s a big multinational. There is NO building registered ANYWHERE to Common Cents Communications that I can find ANYWHERE. No address, nothing other than a mailbox or virtual office. No server farm, nothing. if any one have ever bought service from CCC I’d love to see some proof. K. Chang: DPRE and Grupo DMG pyramid schemes in Colombia sucked in MILLIONS of people. People demonstrated in the streets and conducted hunger strikes when the Colombia government declared a financial emergency and ordered full raid in all provinces against 200 offices of the various schemes, and called for Panama to arrest David Murcia at his mansion there. And he was indeed arrested (presumably with a bit of US urging, as he was later extradited to the US to face trial) The head of DPRE simply disappeared. The crisis eventually blew over, but a LOT of people were ruined. Thanks for that. I was in Colombia for a short while in 2008 and can’t remember hearing about it there. Wiki has some info on it and mentions that allegedly drug money laundering was involved. “Unlike the pyramid scheme, people in DMG could buy a prepaid card from 100000 Colombian pesos, which could be used to buy a wide range of articles and services offered by DMG subsidiaries. These products and services were all provided by DMG subsidiaries and they ranged from food and home appliances to cosmetic surgeries . 5 to 7 months after purchasing the prepaid card, investors had the right to receive 75% to 150% of the money they invested in cash, according to the amount of money invested and how many new clients they had introduced to the company”. There appears to be some kind of error on the wiki links, but the story is there. John: drug money laundering was involved. With respect to DMG . . .
All in all the TelexFree model seems identical to DMG. The only difference being the product, which was nothing more than a ‘fig leaf’ and sleight of hand to inexperienced ones. Others would have ‘got in early’ knowing what was to come later. I’m not sure if I’ve ever seen an embattled HYIP scheme whose “supporters” didn’t advance conspiracy theories. Some of them have been wild. On a side note, I’ve watched a video in which a TelexFree pitchman has his Skype icon on full display and he received a Skype message during his pitch. He didn’t mention the purported TelexFree VOIP product at all; the pitch was entirely about the money. Every opportunity blames some nameless competitor, the government, “rogue members”, crime syndicate… ANYBODY but themselves when things go wrong and they got caught. It’s simple “denial” in 5 stages of grief. They’ll fluctuate between negotiation (can’t you let us operate in reduced capacity), anger (it’s not right! we need the money! ), despair (what will we do now? ), and eventually reach acceptance. In lesser examples, Wazzub, after their spam got them kicked off LinkedIn and Facebook, attempted to construct some sort of of conspiracy against them being a new social network. A year or two later, even a name change can’t save them from obscurity. K. Chang: Every opportunity blames some nameless competitor, the government . . .
One U.S. example of this was the infamous 3 Hebrew Boys scam in South Carolina. Protestors unhappy with the government’s action (at the state and federal levels) rallied in Columbia to demand that the government leave the 3 Hebrew Boys alone. The 3 Hebrew Boys “opportunity” was a bogus debt-relief “ministry” whose operators, among other things, acquired a party bus and a Gulf Stream jet. They also bought the best seats in the house at NFL games, along with cars with famous nameplates. In 2008, AdSurfDaily President Andy Bowdoin described the case against his purported Florida “advertising” firm as the work of “Satan,” comparing it to the 9/11 terrorist attacks. Prosecutors said ASD was selling unregistered securities, while engaging in wire fraud, money laundering and operating a $100 million Ponzi scheme . . .
“About 100 supporters of the “3 Hebrew Boys” rallied in Columbia, S.C., in the early days of the probe, to demand that investigators leave them alone. Participants told reporters that the government did not understand the program, had overreached in its prosecutorial efforts and refused to deny it was wrong, choosing to move forward with the case in a bid to save face . . . I live here in Brazil, the use of VOIP Telexfree, and assure that the PRODUCT is good and service is great. I call friends who live here in the U.S., I am more than an hour in the international connection, Brazil – USA, and the connection does not drop, no delay, very cool. 3000 minutes for $ 50, much cheaper than Skype, which is only 1000 minutes and much more expensive. The company Telexfree is serious, never late payments. The issue is people calling each one, there are investors and also have people who want to do network marketing, simple. While doubt about the company’s sustainability , presented a confirmatory opinion Telexfree sustainability made ? ?by a renowned foundation in Brazil , Foundation Getulio Vargas, but unfortunately the Brazilian justice system does not analyze any evidence presented by TelexFREE. The TelexFREE offered a pledge of 679 million to refund the investors who feel harmed. The Telexfree offers free signup. The Telexfree is blocked based on signs. The Telexfree is blocked based on signs by a judge without competence lawful because she is a judge and state injunction was granted on the federal level. There are many other things that make the Brazilians to revolt against justice, a simple example is the Government Acreano after paralyzing the company seal a VoIP telephony with HI, and the Acre was saying that VoIP is not a product. Again , Again, many other injustices are happening here. Lucas: While doubt about the company’s sustainability , presented a confirmatory opinion Telexfree sustainability made ? ?by a renowned foundation in Brazil , Foundation Getulio Vargas, but unfortunately the Brazilian justice system does not analyze any evidence presented by TelexFREE. If a recruit sends $15,125 to TelexFree, where does the money come from to “pay” that affiliate a “guaranteed” $1,100 a week for a year? I’m aware that affiliates also solicit smaller sums and promise guaranteed earnings in lower amounts. Where does the money come from to “pay” those “guaranteed” earnings to affiliates? I submit that TelexFree is a money-circulating scheme and that the money is sourced from other affiliates, making TelexFree a classic Ponzi scheme in the same way Zeek Rewards — also popular in Brazil — was a classic Ponzi scheme. Lucas: The TelexFREE offered a pledge of 679 million to refund the investors who feel harmed. I see this as a PR stunt that already has backfired. If Brazilian judges in general are anything like American judges in general, they’ll ignore PR stunts and apply the law. Lucas: The Telexfree offers free signup. Lucas: The Telexfree is blocked based on signs. The goal of the Acre judiciary appears to be adjudicate the case on the merits while preserving assets to ensure money is not dissipated during the process — thus preserving a compensation remedy if TelexFree comes out on the losing end. Meanwhile, TelexFree appears to be performing a slash-and-burn across the United States to keep money flowing to the scheme. And Brazilian TelexFree affiliates appear to be trying to find ways to cross national borders — either physically or over the Internet — to find a way to get paid by circumventing the blockage imposed by the Acre judiciary. In my view, TelexFree is one of the best illustrations of the dangers of cross-border fraud. It also is creating cultural envy and bafflement, with Brazilian affiliates wondering how Americans seem to be getting paid while Brazilians are not getting paid. One of TelexFree’s greatest fools in the United States regularly tells his Facebook audience that everybody in his group is “making money EVERY WEEK! Join-Get Paid-Period!” The purported number was up to 10,600 as of yesterday and purportedly is growing at a rate of several hundred per week. Lucas: There are many other things that make the Brazilians to revolt against justice, a simple example is the Government Acreano after paralyzing the company seal a VoIP telephony with HI, and the Acre was saying that VoIP is not a product. The issue is NOT whether VOIP is a legitimate technology; the issue is whether TelexFree is using its VOIP technology as a product used to mask a Ponzi or pyramid scheme. Zeek Rewards claimed to be in the “auction” business. AdSurfDaily claimed to be in the “advertising” business. Both Zeek and ASD were classic fraud schemes that fronted a “product” in a bid to dupe members and regulators. I notice that telexfree still is active in the US. It seems that it is still paying people. So are you sure this is ponzi scheme? My father who joined 4 months ago already made his money back. casey: I notice that telexfree still is active in the US. It seems that it is still paying people. Bernard Madoff paid people for 20+ years while operating a Ponzi scheme. That people are getting paid is not evidence no fraud is occurring. casey: My father who joined 4 months ago already made his money back. If your father takes out profit — and if TelexFree later is adjudicated a Ponzi or pyramid scheme or both — he potentially could be subjected to a clawback lawsuit to recover gains deemed to be ill-gotten. There is a possibility he could be viewed as a person who received a fraudulent transfer from a Ponzi/pyramid scheme. The Zeek Rewards receiver, for example, may end up suing thousands of “winners” to recover their gains. Seem like you said it: “still paying people” you did not said my Father won with telexfree, If you don’t work simple , you don’t get paid. Wcarr: If you don’t work simple , you don’t get paid. Just what the Zeekers said. Some of them are getting lawyered up even as we speak. Quick note: jessé appears to be asking whether TelexFree is under investigation in the United States and is having a problem with the law here. The short answer is I don’t know. But I do know that “programs” similar to TelexFree operating in the United States have become the subjects of both civil and criminal actions. And I also know that TelexFree has a presence on forums well-known for pushing Ponzi, pyramid and securities swindles. One American promoter of TelexFree has not updated his Facebook site since Jan. 10 — so, 20 days with no updates. I think that potentially is very meaningful. Obrigado Patrick pela sua resposta.